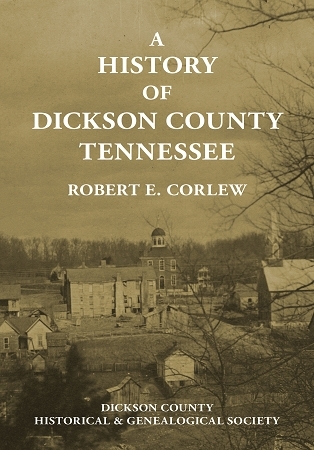 Dickson County is among the oldest of the Middle Tennessee counties. Dr. Robert Ewing Corlew Jr. has traced the history of this county from the days of the first white explorers to 1956. This third edition contains the original 1956 edition supplemented with updated lists of public officials and Dickson Countians who made the supreme sacrifice in conflicts since World War II.